Hurricane Matthew is already a worst-case scenario for Florida, and the latest model runs look like the storm could hit Florida more than once. The hurricane is expected to strengthen into a Category 4 as it approaches the southern tip of the state. The only upside is that it'll slowly weaken as it travels north. The storm is most likely going to hug Florida's Atlantic coast, causing hurricane force winds, heavy rain and a dangerous storm surge along the coast from northern Miami all the way to southern Georgia. Once the storm moves into South Carolina waters is when it gets interesting. That's because there are a lot of meteorological factors at play here. A large front currently causing severe storms across the Midwest and the Plains is moving east and will be along the coast by the weekend when Hurricane Matthew is off the Georgia and South Carolina coasts. This front is likely going to push the storm farther into the Atlantic — good news for everyone living on the East Coast. Unfortunately for everyone in Florida, Matthew is going to run into a nearly stationary Tropical Storm Nicole, which is currently about 400 miles south of Bermuda. It's at this point when Matthew will be stuck between a large front pushing eastward while interacting with Tropical Storm Nicole in something called the Fujiwhara effect . 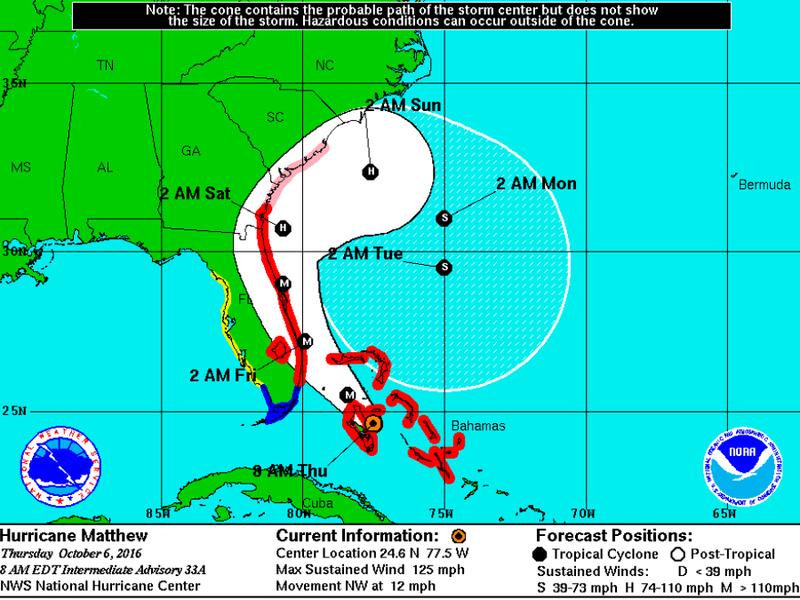 It's at this point Matthew will likely take the path of least resistance and loop south — back to Florida. 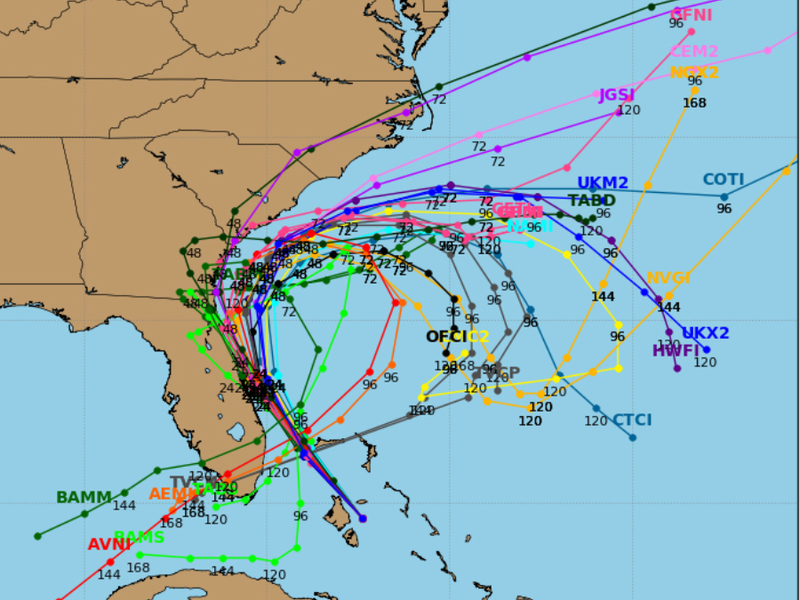 A number of models have the storm hitting the southern tip of Florida in the second half of next week as a weak tropical storm or depression. Since it's still a week away, a forecast for this loop is still mostly speculative, but at the same time, it's not completely uncommon for hurricanes and tropical storms to loop around like this. 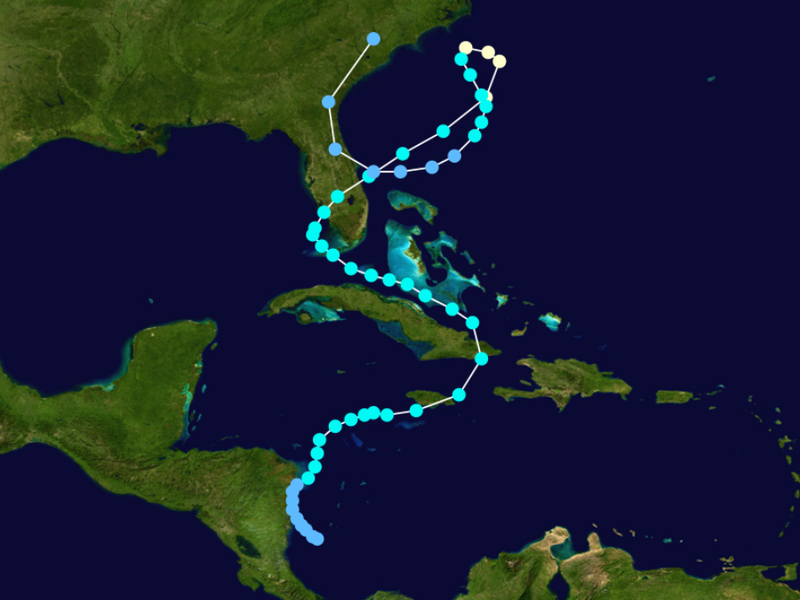 A number of hurricanes have made loops — both Jeanne and Ivan in 2004 looped and Hurricane Ginger in 1971 looped twice in the Atlantic. 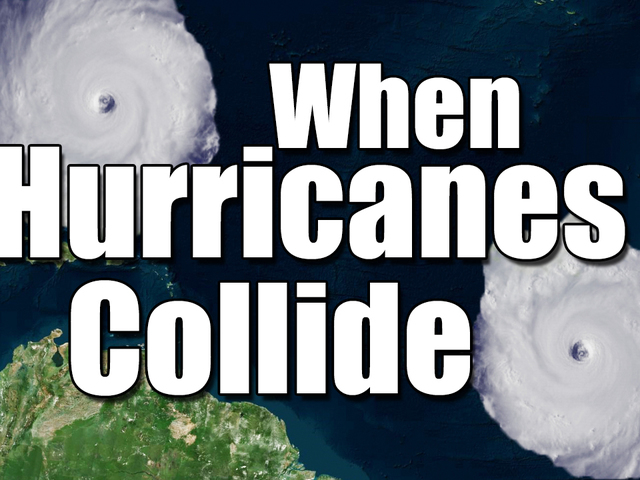 Only one other storm, however, has made a loop and hit the same state twice — Hurricane Gordon in 1994 made landfall in Florida, first as a tropical storm and second as a depression. Hurricane Matthew will be worse since it's approaching as a category four the first time, and if there's a round two, it would would likely be as a tropical storm or depression. Regardless, Matthew is the biggest storm to hit Florida in more than a decade.